Her first book, and the first of the Harry Potter series. The young orphan Harry Potter is brought up in an uncongenial family of “muggles,” who relentlessly mock and mistreat him. But he learns in time that he is a wizard, and is sent away to Hogwarts School of Witchcraft and Wizardry, where he makes friends and begins his long combat with Lord Voldemort, the murderer of his parents. The series ran to seven books and eight films, and is undoubtedly the most popular series of children’s books of all time. Winner British Book Awards Children’s Book of the Year, Nestlé Smarties Book Prize Gold Medal 9-11 years, FCBG Children’s Book Award 1997 Overall winner and Longer Novel Category Birmingham and Cable Children’s Book Award in 1997. The 2001 film Harry Potter and the Philosopher's Stone, based on the novel and written by Steve Kloves, was directed by Chris Columbus and stars Daniel Radcliffe, Rupert Grint and Emma Watson. a) It is a condition of bidding on this book, that the successful bidder agrees to enter into a signed agreement with The Blair Partnership (acting on behalf of J.K. Rowling) before receipt of the item restricting the successful bidder from using the book in any promotion, marketing, advertising or event unless otherwise agreed in writing. 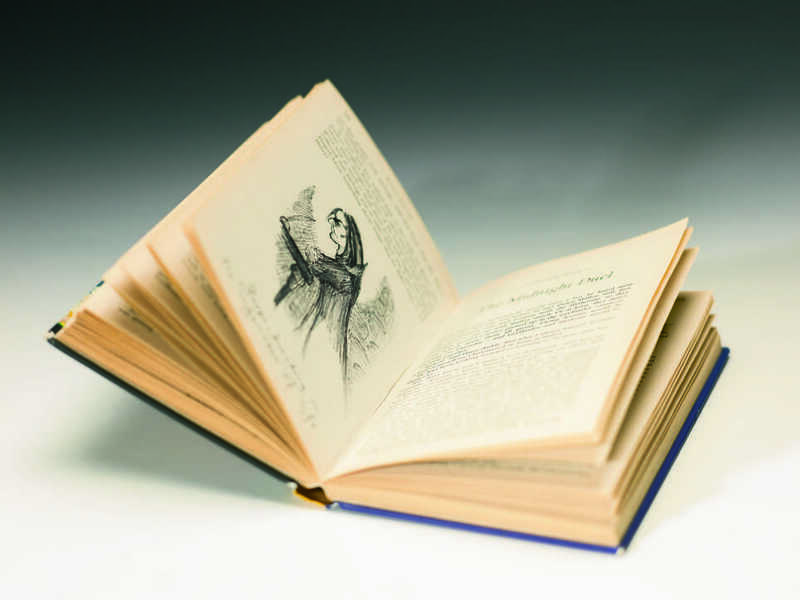 The book is for the successful bidder’s private use except that it may be (i) publicly displayed in a not-for-profit museum or gallery (ii) privately displayed in a private collection and (iii) sold to another party in the traditional manner for the rare book trade. The exact text of this agreement can be obtained from Sotheby’s. b) This lot is sold to benefit English PEN (67%) and the Lumos Foundation (33%). Lumos (charity no. 112575) was founded by J.K. Rowling and works to support the eight million children in institutions worldwide to regain their right to a family life and to end the institutionalisation of children. Annotated on 43 pages. Approximately 22 illustrations and 1100 words. ...I wrote the book... in snatched hours, in clattering cafés or in the dead of night. For me, the story of how I wrote Harry Potter and the Philosopher's Stone is written invisibly on every page, legible only to me. Sixteen years after it was published, the memories are as vivid as ever as I turn these pages.